Coding boot camp closures prove there are no shortcuts in education. A couple of recent closures prove that there are no shortcuts in education. 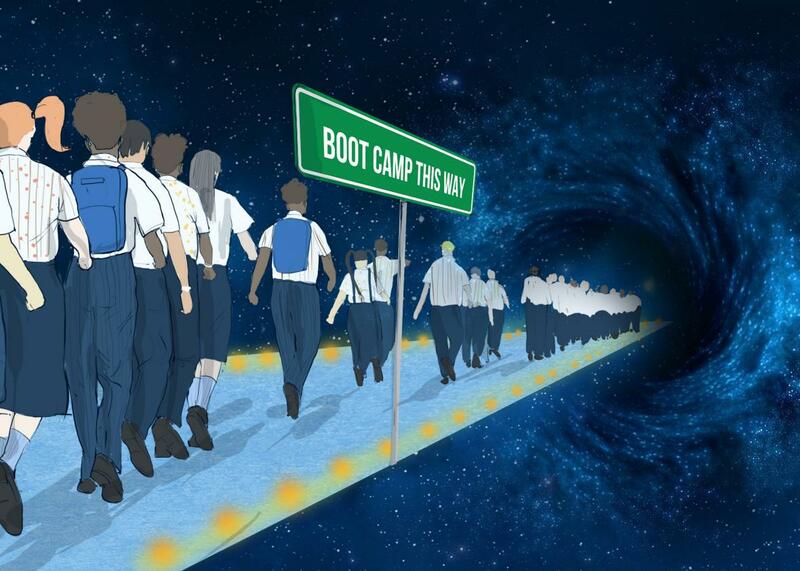 This piece originally appeared in EdSurge as part of a series on the future of boot camps. Coding boot camps were supposed to be the next big thing in higher education, promising a compressed, career-focused alternative to traditional graduate school. In the past five years, startups offering these programs have raised millions in investment and won praise from policymakers as an innovative way to prepare (or retrain) workers for the jobs of the digital future. The enchantment around the model appears to be wearing off, though. In July, Dev Bootcamp, one of the largest and earliest coding boot camp providers, announced it would close because leaders could not find a sustainable business model. Just a few days later, another pioneer in the space, the Iron Yard, said it would also shut down this year. That doesn’t mean the rest of the boot camps are doomed. In fact, there are at least 95 other coding boot camp companies in the U.S., and some say they are still growing. But it should bring a dose of realism to what had been a narrative of unending growth and the idea that somehow boot camps were a silver bullet for what ails higher education. “The problem with education is that we keep coming back to this one-size-fits-all approach,” says Adam Enbar, CEO of Flatiron School, who insists that he’s seeing “more demand than ever” for his company’s programs. Rhetoric around coding schools has suggested that they present an easy way to teach anyone to code, regardless of background. Flatiron, he says, has crafted its main program to be highly selective, and it runs a longer program with a different curriculum for those with less familiarity with coding. “There’s no model that fits everyone,” he says. And by the same logic, he says, no one can make a blanket statement that boot camp programs as a group can’t work. “What we really see in these boot camps is a lot of career changers,” says Liz Eggleston, co-founder of Course Report, which researches and runs reviews of coding boot camps. While there’s plenty of talk these days of retraining blue-collar workers for “new collar” jobs in tech, that hasn’t been the norm at coding boot camps. “I haven’t talked to a ton of coal miners who have done a boot camp and become developers.” More typical, she says, is someone who already holds a college degree and wants to move from the marketing department of a high-tech firm to the development team. She says she did her homework before plunking down that kind of cash. “At first I was really skeptical about it,” she says of the boot camp idea. For a few months she tried teaching herself with free online resources, and she even attended a hackathon for people trying to learn coding, but felt she wasn’t getting what she needed. A mentor at work had completed the Iron Yard program and recommended it, and she sought out other graduates to see if it had helped them land the kind of job she wanted. “I don’t make rash decisions,” she jokes. Dembe was “shocked” to learn the school was now closing, but she’s happy she went—after all, she found a job six weeks after graduation. If the boot camp business was so precarious, though, she wonders why the schools often occupy pricey real estate: The campus she attended was just a few blocks from the White House, for instance. When making their pitch to students, coding boot camps don’t usually talk about amenities. They often stress one number: job placement rates. Several boot camp companies have joined efforts to independently verify the percentage of students who get jobs in the field soon after graduating, such as the Council on Integrity in Results Reporting, formed by a group of boot camps, and a broader quality-control framework proposed by Entangled Solutions, a consulting firm. Neither Dev Bootcamp nor the Iron Yard joined such efforts, as their competitor Flatiron School is quick to point out. “They just weren’t releasing transparent data,” says Enbar. The Flatiron CEO isn’t part of the CIRR or Entangled framework, either, but says the company releases independently verified employment rates. “The line is being drawn around quality,” he says. Some evidence suggests that many employers aren’t yet convinced of the educational merits of coding boot camps. A report in Bloomberg in December even suggests a boot camp diploma could be seen as disqualifying. Some academic critics of boot camps argue that the companies represent a shift to requiring workers to pay more of the bill for their own training, and one that falls disproportionately on low-income or underrepresented groups. Tressie McMillan Cottom, an assistant professor of sociology at Virginia Commonwealth University and author of Lower Ed: The Troubling Rise of For-Profit Colleges in the New Economy, recently made that argument on her blog: “Boot camps are a tax paid by suitably credentialed workers who do not have enough capital (economic, social, or cultural) to enter a high status field of work in which some job is undergoing an actual or projected short-term demand bubble,” she wrote. The lasting legacy of education boot camps may end up being found on traditional campuses. Several colleges are trying the boot camp approach, even in other fields like health care and political science. In fact, many upstart coding schools are now partnering with those old-fashioned campuses they were intent on replacing.